From the People Who Brought You the Jewish Renaissance Fair: SUKKOS 2009! Yes! Moshe and Sarah Morgenstern created and produced the very first and the second Jewish Renaissance Fair from their tiny apartment in Morristown, New Jersey, when they were newly married. They went on to other endeavors and handed over the Fair to the very capable hands of their dear friend, Boruch Klar, at the Rabbinical College of America. Now, Moshe and Sarah have teamed up with the Rabbinical College of America again to bring you SUKKOS 2009 a potpourri of activities for everyone in the family. It’s Chol HaMoed Sukkos, to be exact: Oct. 5-8 in picturesque Randolph, New Jersey. There is literally something for everyone: Two Giant Moon Bounce Gymnasiums (one for boys and one for girls), Rock Wall Climbing, Batting Cages, Ice Skating in an Olympic-Size Rink, Miniature Golf, a Driving Range, and a Par 3 Golf Course. And there’s food! Char-broiled Wood-Smoked Barbecue (Moishe is a skilled practitioner of the art of slow and low barbecuing), hot dogs, hamburgers, sandwiches, fresh donuts, and lots of snacks! Everything is under the strictest of Kashrus standards. So, everyone can relax and enjoy. And where can you eat all this wonderful food during Chol HaMoed Sukkoas? In a Giant Sukkah, of course! Minyanim will be available at Chabad of Randolph (Rabbi Avraham and Chava Bechor). At the Chabad house there will also be three showings a day of the video “The Story of the Klei Yakar”. 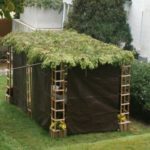 Sure, you can drive for hours and wait in line at over-priced, crowded amusements, but you won’t have such wonderful food and a sukkah to eat in when you get there. We hope our friends from the concrete jungles of Brooklyn will come out to get a breath of fresh air and have a great time. It’s just an hour’s drive away. 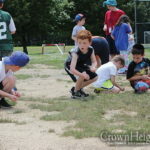 For our New Jersey friends, it’s just a hop-skip-and-a-jump to everything you could want for your family during Chol HaMoed: Affordable, clean, wholesome fun. sounds like fun! I assume the moonwalks etc are not free. Please clarify. Wow!! Finally something Different, Something that the WHOLE family can take part in, Something out of NY….God bless you! Cant wait!!! This looks like an awesome event. Can’t wait to come!! In answer to Interested. Yes, all activity centers require a $6.00 ticket. Howerver, keep in mind, our activities go from 20 minites to several hours. The Moonwalk in particular involves an hour of fun in 2 massive inflatable gyms – one for boys and one for girls. Note also, that Randolph is blessed with many beautiful parks. You can bike our trails, play in our parks or sit and watch the gorgeous autumn colors by our lakes and ponds, all for free. It’s all in our free, downloadable Sukkos2009 program guide. You can get it on our website – http://www.sukkos2009.com. Hope to see your there! !